It is claimed that there are 14,000 uses for salt. Shaheen Perveen investigates just a few of them. Salt has been a major item of commerce for millennia and is still traded today in parts of Europe. The Afar people mine bars of salt [‘amoles’] from the forbidding Danakil Depression and transport it to the highlands on camels where it is traded as a valuable commodity. It’s the perfect business: the raw material and the energy supply are both free, and almost indefinitely abundant. However, there is something holy about salt, wrote Nathaniel Hawthorne and certainly it contains an indisputable truth – sodium chloride may seem the most mundane of substances, yet throughout history it has been accorded special reverence. We are all aware of 24 carat gold but originally this term was applied to salt. There was 5 carat of salt, 10 carat salt and the grading was based on dirt or ‘doss’ it contained. 24 carat salt was the most valuable and purest form of salt. Salt runs through every aspect of daily life – from cosmetics and clothing to gasoline and food. The common condiment has been in use since the Neolithic times. Sodium is necessary nutrient, one that helps maintain proper water balance and blood pressure, as well as stomach, nerve and muscle function. Salt produces claim that there are over 14,000 uses of salt. Besides its spiritual values. It has countless other properties: curing of leather, glazing of pottery, restoration and antiseptic uses, dyeing of fabric, preservation of meat. Salt is essential to luxurious spas where stress is washed away and circulation recharged. 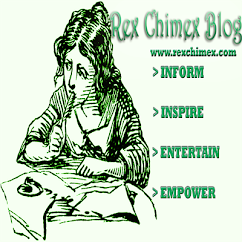 The utilitarian values of salt made it the first commodity of world trade. Salts healing, restorative and antiseptic properties led to religious and social significance being attributed to it by early people, hence it was valued. In the ancient Semitic culture, salt symbolizes trust and friendship and among the Jews all pacts and treaties were negotiated at a table displaying a ceremonial container of the compound, originating the term ‘Covenant of Salt’ the eternal bond between God and Israel. Like any other essential, salt was thought it have a supernatural origin and its place in religion and civilization varies. In the ancient Greek and Roman Cultures it was used as a part of offering that were made to their gods. Rome’s major highway was called Via Salacia (salt road) and soldiers used it to carry salt. Spilling salt brings bad luck is a popular superstition (borrowed from Leonardo da Vinci’s painting – The Last Supper). The Swiss grooms used to keep salt in one pocket and potato in the other to ensure his long married life. The German bride used to put salt in her shoe. One of the most interesting salt trades can be traced in history of Gold Coast (Ghana), where Gold was bartered for salt. 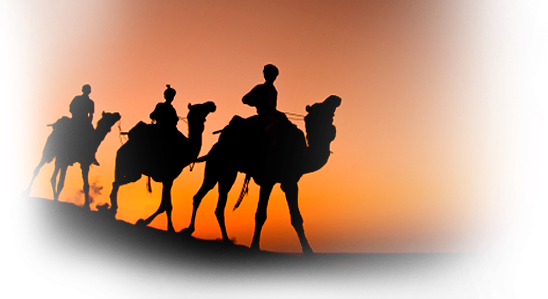 The Arab merchants travelled across the desert with enough salt to trade with, together with drummers and carriers. On reaching Gold Coast, they stopped by the river and conveyed their arrival through the drum beaters. The Ghanaians took notice of this and prepared themselves to exchange their gold with salt dust packed in their bags. Reaching ashore they would find no man around and several piles of salt well spread over the area [the Ghanaians would not trade if anyone was there]. Next, they would neatly stack the gold dust, proportionally to the salt pile, and retreat. 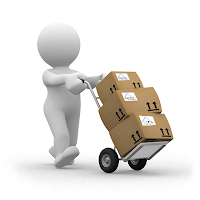 The Arab traders would come back and shake their heads (there is not enough gold) and once again return to their hiding place. The natives would arrive with more gold to please their partners. The Arabs would return only when the Ghanaians had left the scene and would nod their heads and smile as if there was enough gold for their satisfaction. The drum once again echoed in the air and it symbolized the departure of the Arabs. Later the natives would come back and carry off the precious salt. On returning to the village they celebrated a feast to mark their successful trade. Salt came to be used as a currency in landlocked kingdoms such as Tibet and Ethiopia. Marco polo noticed Tibetans using salt cakes stamped with the imperial seal of the great Kublai Khan as money. And when Rome chronicler Petronius complained that “Man wasn’t worth his salt” he was speaking literally. Roman soldiers during the time of Julius Caesar received a quota of salt as part of their wages, thus providing the root of the English word, salary. In fact Caesar travelled with his team of ‘salinators’ who were skilled at preparing salt for the soldiers. In 1765, the Earl of Dundonald wrote that every year “ten thousand people are seized for salt smuggling and 300 men sent to the gallows for contraband trade in salt.” Mined [Regular] salt and Solar [Sea] salt come from different places. 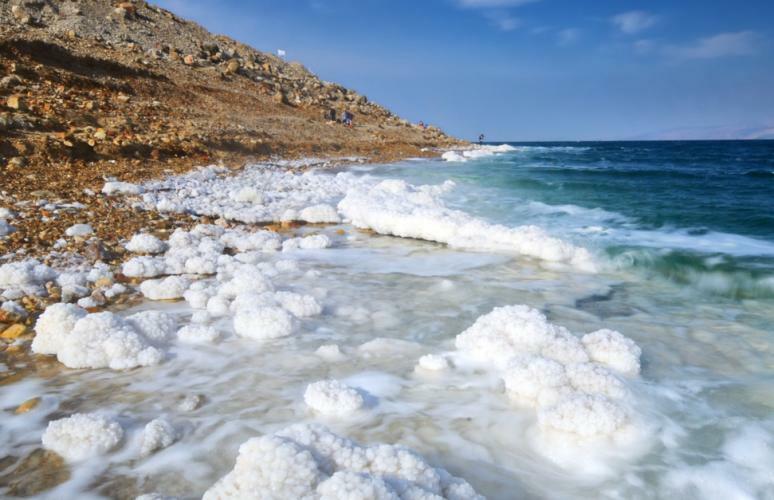 Salt originates in the ocean, which has covered many parts of the Earth over time. Some ancient seas dried up and were covered with sediment and this paved the way for numerous salt deposits beneath the earth’s surface. Salt comes in various colors that they acquire from the conditions prevailing in the earth’s interior – particularly the clay and soil surrounding their water surrounding their water sources. It varies from sparkling White Sea salt, Fleur de sel from France and Portugal to Black rock salts from India. In between there are shades of grey [Celtic varieties], red [Hawaiian alaea], pink [Peruvian Pink salt]. 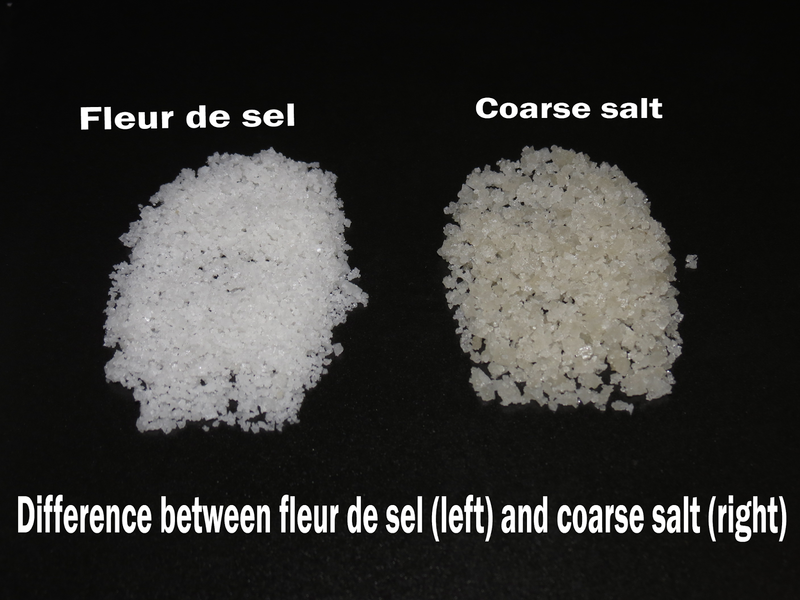 Fleur de sel or the Flower of salt is the most prized natural sea salt that comes from France and Portugal. Here the Atlantic currents are cleaner and the climate is milder which renders the low – lying areas suitable for salt harvesting. Only the top flaky crystals are traditionally harvested (from May to September), packed and sealed under the signature of the paludier (salt raker) who harvested it. 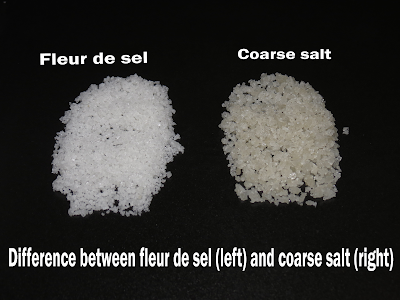 Fleur de sel is unprocessed, unrefined and, of course, unadulterated salt. Besides the richness of the sea it comes packed with potassium, calcium, magnesium, copper and iodine. Food and health aficionados rate it as the finest salt available and it is often referred to as the caviar of salt, or the pinnacle of sea salt. It makes an excellent all round seasoning and is mainly used to finish a dish or to compliment the salads where the sprinkled salt shines like little diamonds from the sea. The diamonds are quite expensive and they come packed in small quantities! Hawaiian Alaea sea salt is uniquely coloured large crystals with a mellower taste. The traditional sea salt of Hawaii is combined with iron rich island clay which turns it reddish pink due to iron oxide. One gram serving of Hawaiian Alaea sea salt contains 0.05 milligram of iron. Whether it comes from sea or the earth, table salt is made through the process of evaporation. In case of solar salt, sea water is put into shallow outdoor basins and allowed to evaporate until salt crystals emerge: in mined salt, water is pumped into salt mines to create a well of brine, which is the pumped into vessels and heated until, once again, salt crystals emerge. Impurities are filtered, iodine and anti – caking agents are sometimes added, and finally we get table salt. Some strange medieval prescriptions include the addition of cows’ or sheep’s blood, egg white and ale to the boiling brine in order to ensure a well – granulated salt. Besides distilling sea or salty water, our ancestors extracted salt from various other sources including wood [when making charcoal with saline wood], saline plants and lotus. In mountainous region of China and Korea, the inhabitants prepared sungyom or excellent salt by fermenting a mountain herb called such’ae. The salt in use today is mostly produced from sea water or from deposits of rock salt. An estimate suggests that if all the oceans were to dry up, we would have large quantities of salt, about 15 times the size of Europe. Imagine how much gold would have been required to barter this! Made by evaporating ocean water, unrefined sea salt contains trace amounts of minerals, including magnesium, calcium, copper and iodine, but not enough to matter. Sea salt is seldom iodized, and highly refined sea salt is virtually identical to non-iodized table salt. Sea salt comes in many varieties with different colors and flavors, depending on where it’s harvested, and can be pricey. Some sea salts have larger crystals, so they may have less sodium per teaspoon. There is no international jury to decide whether food is “salty” or “not salty”. What is salty for one may not be salty for the other. 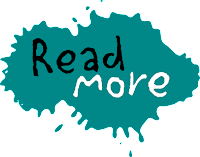 The need for sodium varies with the physiological requirements of individuals or societies. However sodium levels can be determined from blood tests and accordingly one can increase or decrease the intake of salt. People with high blood pressure or heart ailments should limit their salt intake. Sodium levels take a nosedive when you get angry, nervous, worried or fall in love. In such situations salty food is an excellent remedy!